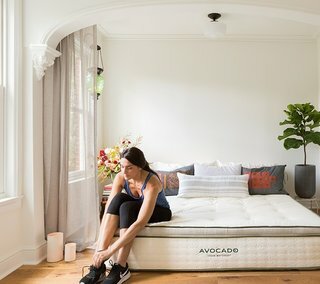 It can be a challenge to sift through the trendy mattress companies popping up today—luckily for you, we’ve looked into the most reputable mattresses you can buy without breaking the bank. 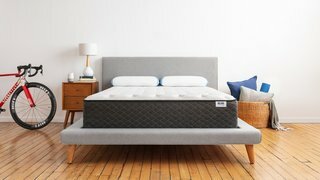 We've rounded up the best places to find an incredible mattress, while keeping our budget below $1,500 for a queen-sized mattress. More often than not, great options are available for much less! 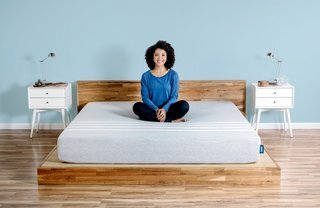 Ultra comfy, made in the USA, and delivered straight to your doorstep, Leesa's thoughtfully designed foam and foam/spring hybrid mattresses are designed to help you "refresh your space, reclaim your rest." For every ten mattresses they sell, they donate one mattress to a nonprofit. 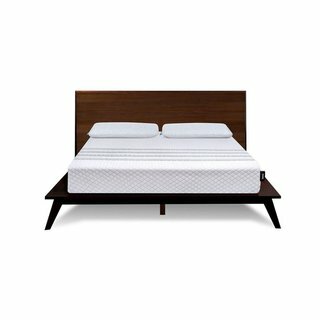 Both mattresses are also available for purchase at West Elm. The Leesa mattress is redesigned from the inside out to give you the comfort, support, and universal feel everybody needs to sleep better. 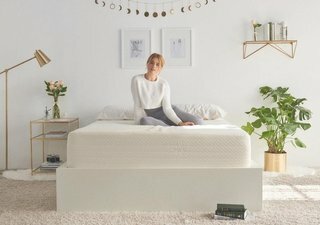 Our unique combination of performance foam layers deliver cooling bounce, contouring pressure relief and core support for amazing sleep. The Sapira hybrid mattress combines the comfort and recovery layers loved in our Leesa foam mattress with our advanced individually-wrapped pocket spring system. For the active bunch, consider Bear Mattress to relieve back and muscle pain, keep cool all night long, and improve your overall sleep. Their secret weapon? 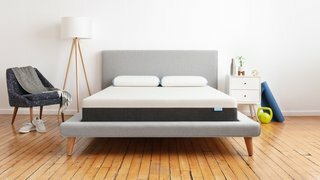 Every mattress is engineered with Celliant's FDA-determined infrared yarn technology, which "transforms your body’s natural energy into infrared light which leads to a more restful sleep, a faster recovery and increased energy so you perform at your peak every day." 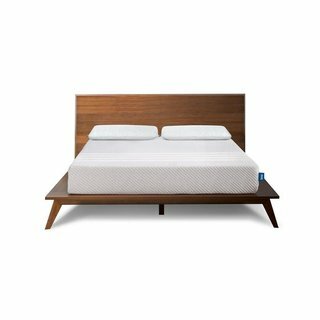 A Dwell favorite, these eco-conscious, California-made mattresses feature 100 percent natural latex rubber, GOTS certified organic cotton, and up to 1,414 pocketed support coils. You can rest easy with their 100 night risk-free mattress trial; returned mattresses are donated to local charities. 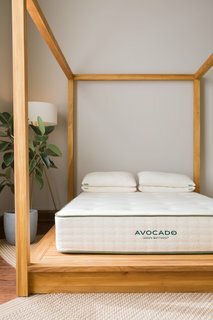 Our vegan mattress features 100% natural latex rubber, certified organic cotton and up to 1,414 pocketed support coils. No polyurethane foams or toxic fire retardants. 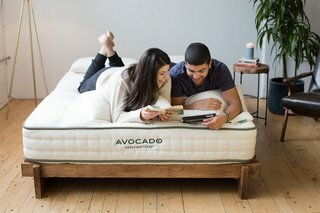 It's exactly the same as our Avocado Green Mattress, but uses cotton instead of wool. 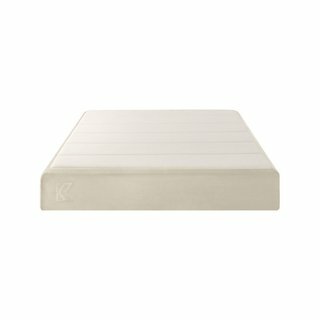 Keetsa's mattresses are thoughtfully crafted, and they offer six models—one for every type of sleeper. Keetsa's Match Wizard quiz ensures that you'll find the best style for you. They also have their own line of bedding, mattress protectors, pillows, and an adorable dog bed, so you can outfit your entire bedroom in one fell swoop. Since 1987, Brentwood Home has been handcrafting luxury mattresses, pillows, and bedding in their Los Angeles factory. 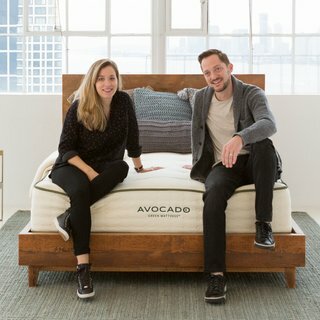 The company is driven by their "California ethos" and the idea that well-made sleep products—they use non-toxic materials and natural elements—are key to promoting a healthy lifestyle and greater wellbeing. 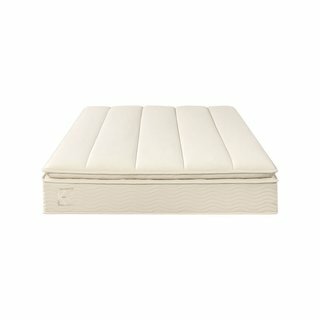 Most of their mattresses are Greenguard Gold Certified by UL Environment. 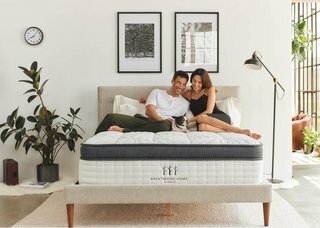 Our best selling, all foam mattress features: Gel infused memory foam, New Zealand wool, a natural bamboo-derived, removable cover and ventilated support foam — all to keep you comfy and cool — at an unbelievably affordable price! Proudly made in Los Angeles. The Crystal Cove Mattress is an innovative dual-sided hybrid mattress, with 5-zone coil support system, specifically designed to promote therapeutic recovery and deep, restorative sleep. Because no wool is used, it's completely vegan. GREENGUARD Gold Certified. Features CertiPUR-US® certified cooling gel memory foam, a premium 5-zone coil support system, and a Tencel stretch knit cover. Hand-tufted Euro-top design and medium-plush feel. Available in a range sizes including: Twin, Twin XL, Full, Queen, King, Cal King, and Split King. 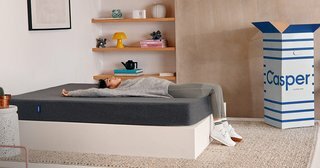 Perhaps the cheapest and speediest option of the bunch, Amazon offers thousands of bed-in-a-box options from reputable brands—all accompanied by a slew of user reviews. 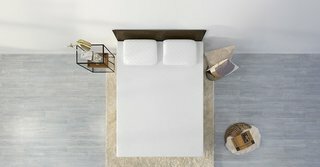 All Casper mattresses feature a deliberate combination of foams called hybrid foam construction. 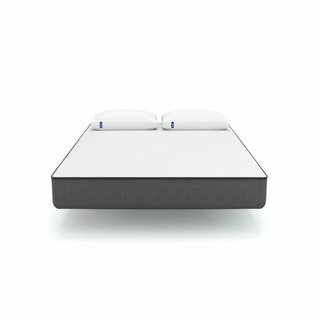 While mattresses made of a single material are either soft or supportive, this design allows Casper mattresses to balance both. One perfect bed, no more morning blues. 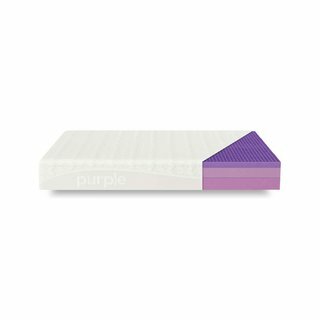 Purple gives the best of both firm and soft with our pressure-erasing Smart Comfort Grid™. Wake up on the right side of the World’s First No Pressure™ mattress.